How are studio monitor speakers different from regular speakers? There’s massive variety when it comes to choosing either ‘hi-fi’ or studio monitor speakers. With both speaker types, the one thing you can’t skip is quality. Put simply, you can’t get good sound from poor speakers. 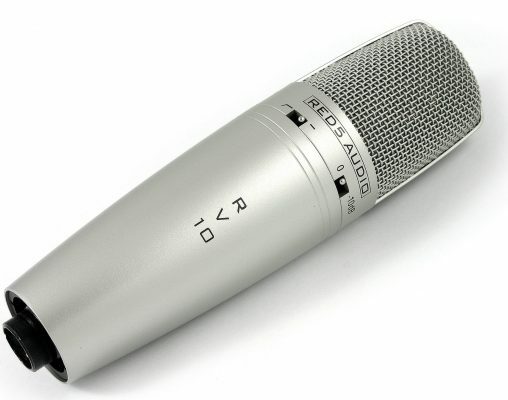 Just as a microphone is the first piece of equipment in the recording chain, rather obviously, the speakers are the last. Whether you’re recording or playing back, the ‘chain’ is only as good as the weakest link. For Hi-fi listening, most ‘good’ speakers will flatter the sound. Typically, there’s a nice, solid low-end with smooth mid-range frequencies and crystal clear and well-balanced highs. Speakers like this can make a fairly average mix sound decent and a good mix sound excellent. Conversely, less pleasing sounds and frequencies are more likely to be hidden or masked and perhaps won’t sound as harsh. When it comes to recording, we typically want to capture the best sounds we can get. In so doing, we want to be able to hear or monitor the process accurately. In this scenario, we don’t want the sound to be coloured or flattered – we want it to be detailed and ‘true’. Good monitor speakers add less colour to the sound and for this reason, often tend to be less complimentary. The concept is simple – get your mix sounding great in your studio monitors and it should sound excellent when played back on most quality systems. Why not pick a really good pair of hi-fi speakers and just mix on them? Well, you can. . .but, your mix can end up biased towards those specific speakers and won’t sound as good on other systems. This is another core concept when it comes to using studio monitor speakers – your mix will typically be played back on a wide variety of speaker types: ear-buds, headphones, computer speakers, PA speakers. When done properly, your mix should sound great across all of them. Good monitor speakers will help you achieve this. Additionally, many engineers / studios will have a main set of monitors on which to mix, a pair of high-end hi-fi speakers and a pair of budget speakers such as simple computer shelf speakers. When it comes to the final stages of mixing, comparing the sound across all 3 gives you an excellent reference. The Red5 Audio RVAM1 Studio Monitor Speakers shown below won’t flatter your sound. They’ll let you hear your mix as it is with all the detail you need. Get a good mix on these and we guarantee, you’ve got a great mix!